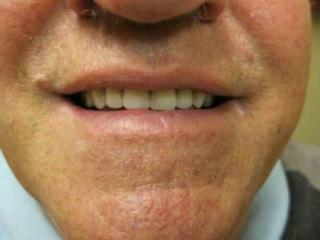 For many adults, dentures are a solid solution to a popular problem. 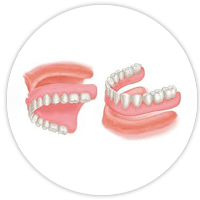 Our staff in our southwest Calgary location will be happy to consult with you and fit you for your personalized dentures. 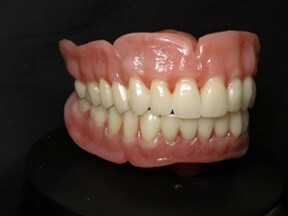 All dentures are not the same. 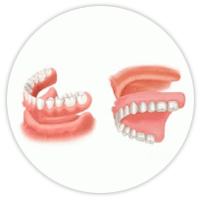 The materials that go into the making of the denture and the procedures that the Denturist use both make a significant difference in the quality of your dentures. 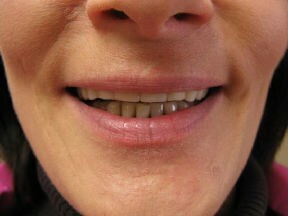 We stock a wide variety of materials and our Denturists are trained in a wide variety of techniques so that we may offer our patients choice. 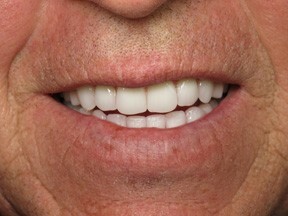 Whether it is a vibrant youthful smile or a rugged seasoned look you desire we can customize your appearance to your needs. 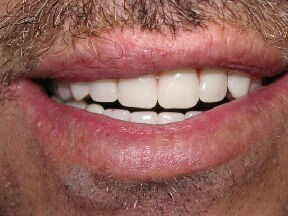 Your appearance is unique and is as important to us as it is to you. 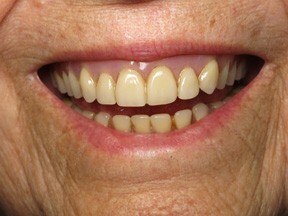 Through the use of advanced, high quality materials: life-like teeth, digital photographs and customized denture base coloring we are able to provide you with a personalized, natural smile. 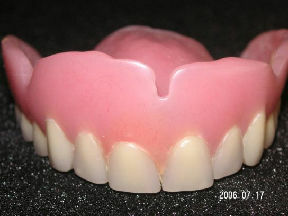 At the Westside Implant Denture Centre we are proud to provide cosmetic dentures. 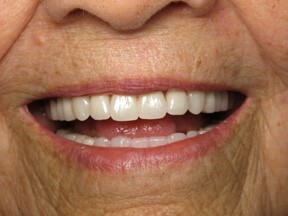 Cosmetic dentures incorporate life-like teeth and detailed coloring of the gums to make them look as real as possible. 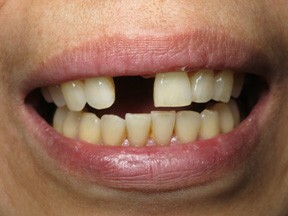 The decision to get your first denture(s) can be a difficult one. 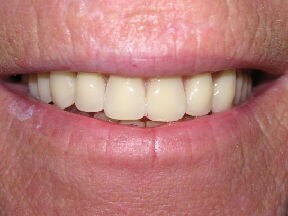 Immediate denture(s) are inserted following extractions and are made before the natural teeth are removed. 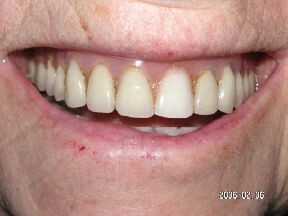 The same day the extractions of your remaining natural teeth occur, the immediate denture is placed. 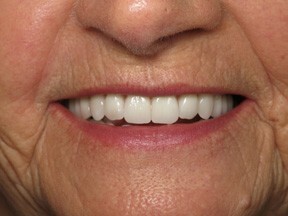 This provides the patient with the advantage of having a denture during the entire healing process. 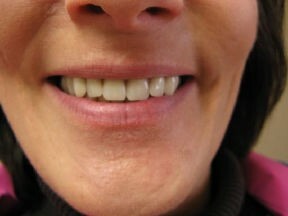 At our clinic, we will gladly communicate with your Dentist or are happy to recommend one for you. 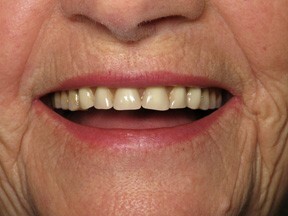 Once the immediate denture has been inserted it takes 2-3 weeks for initial healing to occur. 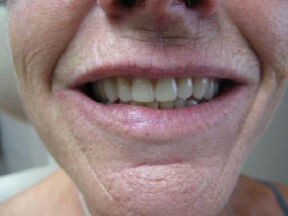 It is extremely important for patients to remember your gums and jaw bone are going to shrink after your extractions and will continue shrinking for the rest of your life. 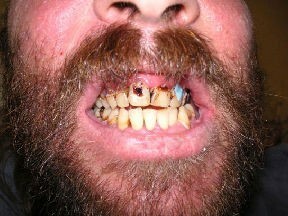 This will cause the denture(s) to become loose very soon after. 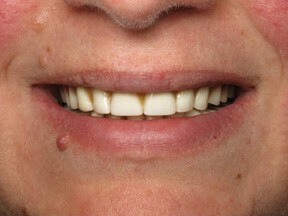 Denture irritations or sore spots will invariably develop due to this looseness and will require adjustments by the Denturist. 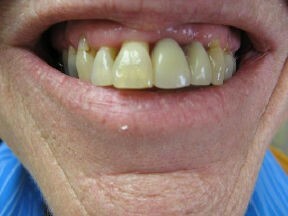 Never attempt to adjust or repair a denture yourself. 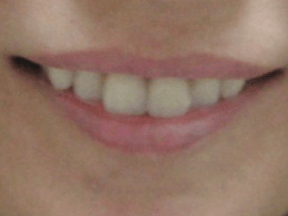 (Go to Helpful Hints for more tips). 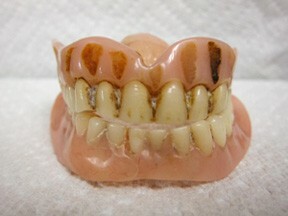 Remember, eating and speaking with complete dentures is quite different from your natural teeth. 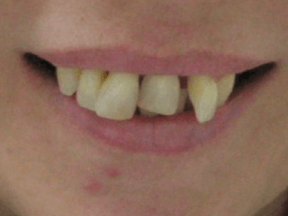 Natural teeth are embedded in solid bone and have individual sensory nerves capable of sensing pain, pressure and temperature. 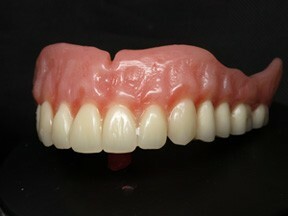 A denture however, is anchored to nothing, feels nothing, and rests on soft, movable tissues covering hard jaw bone. 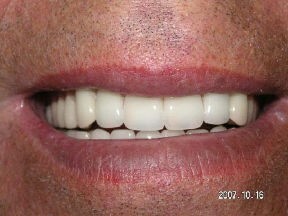 Patience is required during this transition process. 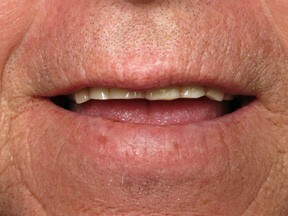 Your speech will adjust over time as well. 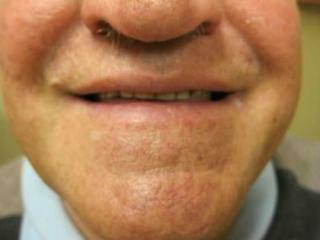 (See Helpful Hints for more tips). 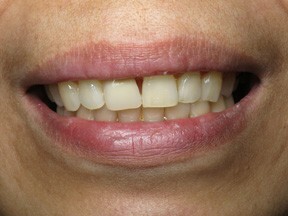 Regular maintenance is essential, especially during your first year of use. 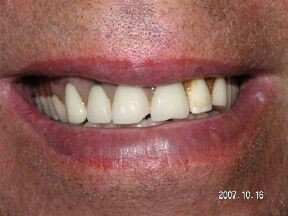 Our staff is on hand to make adjustments and apply liners as needed. 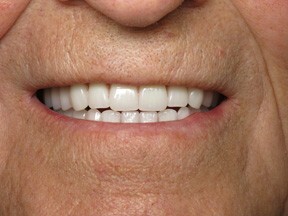 Call today to begin the process of restoring your smile with dentures. 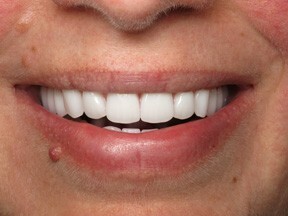 Our Calgary centre is available at 403.242.5880. 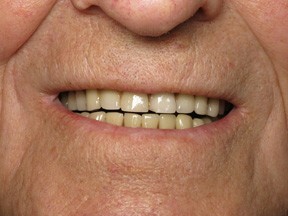 Want to find out if dentures are a suitable option for you?